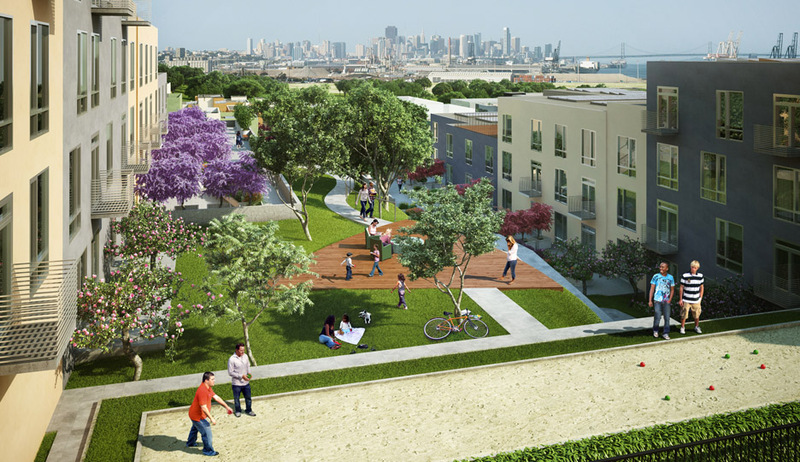 This 750-acre redevelopment project on the site of the former Hunters Point Naval Shipyard in southeast San Francisco will have approximately 12,000 homes, 300 acres of public space, 500,000 square feet of retail, and over 3 million square feet of research and development. To date, 200 homes have been completed and sold. CHS Consulting Group Principal Chi-Hsin Shao managed the development of the Transportation Plan for the Shipyard, and then the Transportation Section of the EIS/EIR. Subsequently, CHS was part of the development team, responsible for the refinement of the development plan and subsequent roadway design work. CHS also developed the initial concept plan for the South Basin Bridge and the Carol Avenue connection to Bayshore Boulevard, and reviewed the freight rail line connection from Pier 94-96 to the Union Pacific mainline. The Hunters Point Shipyard Transportation Plan was adopted by the San Francisco Redevelopment Agency. The EIS and EIR were certified by the US Navy and the San Francisco Planning Department, respectively, as two separate documents. CHS worked closely with the developer and assisted the team in winning the Master Developer contract. CHS was also involved in the initial site layout for the 1st phase development at Hunters Point Naval Shipyard.